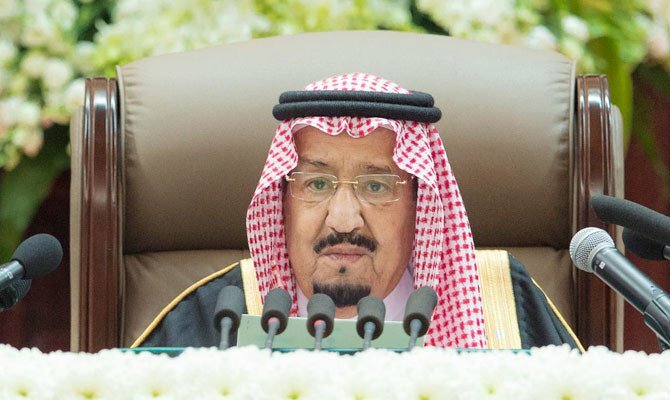 King Salman last week delivered his much-anticipated annual speech before the Shoura Council and a host of senior dignitaries. The speech sketched a road map for Saudi policy for the coming year, particularly focusing on the key aspects of Saudi foreign policy, both regionally and globally. In this article, I will focus on five key aspects central to Saudi foreign policy that were included in the address, as well as briefly touching on some issues pertaining to the political and economic domains. On the Syrian front, in which Riyadh appears to be pursuing a new strategic calculus, King Salman said: “The Kingdom calls for an urgent political solution that gets Syria out of the crisis and ends the role of terror organizations and foreign actors.” The monarch’s comments were alluding to Iran’s role in Syria through its militias and the Lebanon-based Hezbollah. The speech drew an explicit link between the Iranian regime’s role in the region, its support for terror groups and militias, and its program to develop ballistic missiles. King Salman called on the international community to curb Iran’s nuclear and missile programs. In this part of his address, he indirectly referred to the Iranian missiles used by the Yemeni Houthi militia to target residential areas and civilian airports in several Saudi cities. On Yemen itself, King Salman reiterated the Saudi position, saying that the Kingdom had answered the call of the country’s legitimate government to resist the Iranian-backed Houthi militia by initiating the Saudi-led Arab coalition that has been operating there since 2015. He asserted that the Kingdom would not retreat and would continue with the coalition’s operations until it fulfills all its targets. He said that the Houthi militia has continued to remain a thorn, as it has disregarded all settlement proposals that have been presented. In light of the harsh circumstances in Yemen, especially in the areas controlled by the Houthis, King Salman mentioned that Saudi Arabia will continue to offer support and aid to the Yemeni people. Over the past two years, the Kingdom has provided $4 billion of humanitarian aid. The King Salman Humanitarian Aid and Relief Centre is exerting tremendous energy in this respect, despite reports that the Houthis continuously seize food and medical aid and then sell it on the black market, depriving the most needy of essential requirements. King Salman said that Saudi Arabia is attentive of the Palestinian issue, which he said is the foremost regional question. He highlighted the constant Saudi support for its brothers in Palestine until they attain their rights and establish their own independent state, with East Jerusalem as its capital. The Kingdom has raised this issue at several regional and international forums, the latest of which was the 29th Arab League summit — that was entitled “The Jerusalem Summit” — in Dhahran in April. The king’s statement on this issue came amid mounting speculation regarding the US’ much-publicized “ultimate deal” to resolve the Israeli-Palestinian dispute. Riyadh is at odds with the terms of the deal and it has expressed many reservations. The annual address also did not disregard the important subject of Riyadh-Baghdad relations. The monarch lauded the steps being taken to bolster the bonds of brotherhood and cooperation between Saudi Arabia and Iraq, and he expressed hope of cooperation in all fields in the future. One day before delivering his speech, King Salman received Iraqi President Barham Salih. Some media outlets reported that Salih is attempting to mediate between Tehran and Riyadh, since he also visited Iran before arriving in Saudi Arabia. A statement from the office of the Iraqi president completely denied these reports. It is also worth mentioning that Saudi Arabia appears to be seeking to make Iraq a neutral party rather than involving it in its ongoing conflict with Iran. King Salman called on the international community to curb Iran’s nuclear and missile programs. Riyadh has paid special attention to developing positive relations with Baghdad over the past three years and there is a consensus that Iraq should be stable and independent of regional conflicts. The two sides are exerting efforts to mend relations after years of strained ties. The speech also mentioned Saudi oil policy and the need to ensure the stability of the global oil market. This followed media speculation that Saudi was considering withdrawing from OPEC. King Salman rejected this speculation, stating categorically that the Kingdom will remain in OPEC and continue its endeavors to protect the interests of consumers and producers alike. This assurance will no doubt help in stabilizing any volatility in the oil market, as the Kingdom is the world’s top oil exporter. The oil markets closely monitor statements made by the Saudi leadership, reacting either negatively or positively depending on the Kingdom’s position. In conclusion, Saudi foreign policy seems to be clear and well-established when it comes to critical issues, as well as regional and international developments. The Kingdom has managed to set its road map despite mounting pressures and the massive smear campaign against Riyadh following the death of the journalist Jamal Khashoggi in Saudi Arabia’s consulate in Istanbul. Riyadh’s transparency in responding to this sensitive matter has enabled the state to progress confidently in pursuing foreign and oil-related policies in a way that serves the national interest.